Gorilla DJB300 complete DJ booth and lighting stand system. 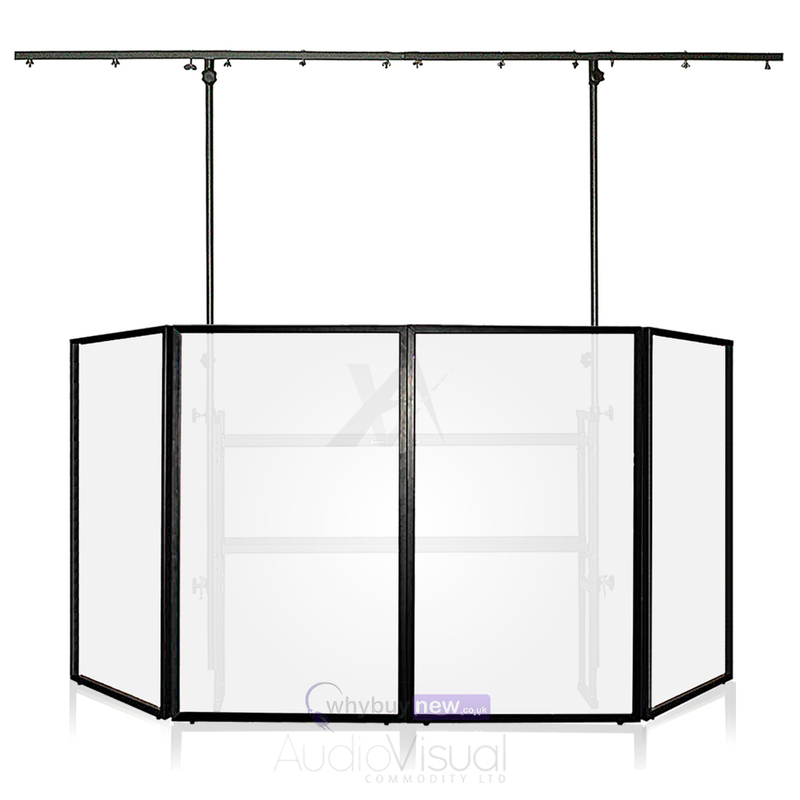 Perfect for mobile DJs, the Gorilla DJB300 DJ Booth is the complete support solution for your rig as well as integrating the innovative DJ Light Screen which provides stunning focal point at your next event. At the heart of the DJ Booth is the Gorilla 4 foot disco stand. 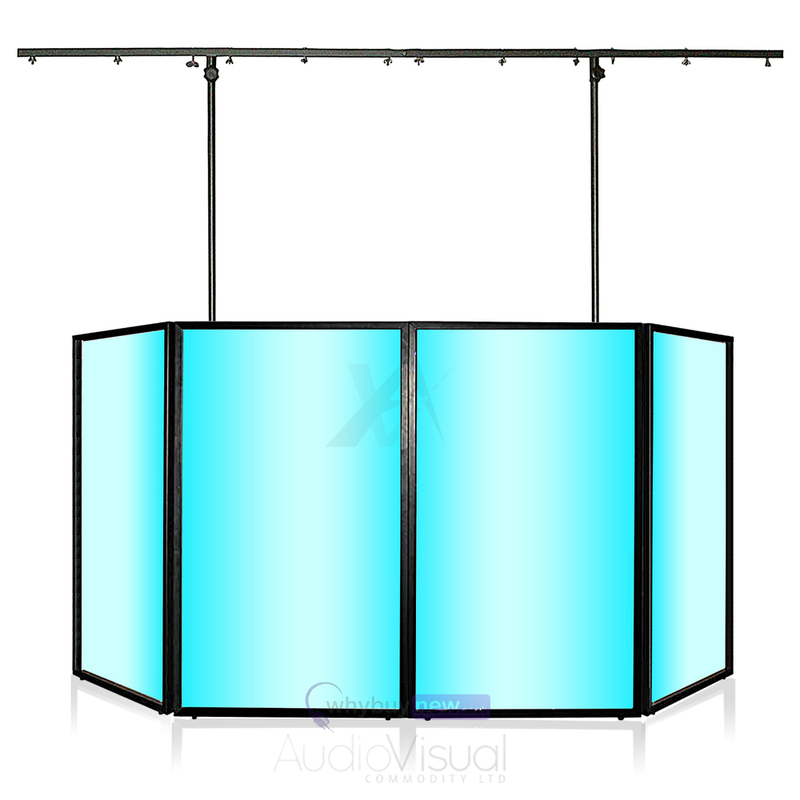 This strong and stylish deck stand incorporates a 6 foot overhead lighting bar which is height adjustable and strong enough to support a large number of DJ lighting fixtures. This sturdy stand is built from strong steel to ensure it remains rigid with a stylish and hard-wearing black finish. 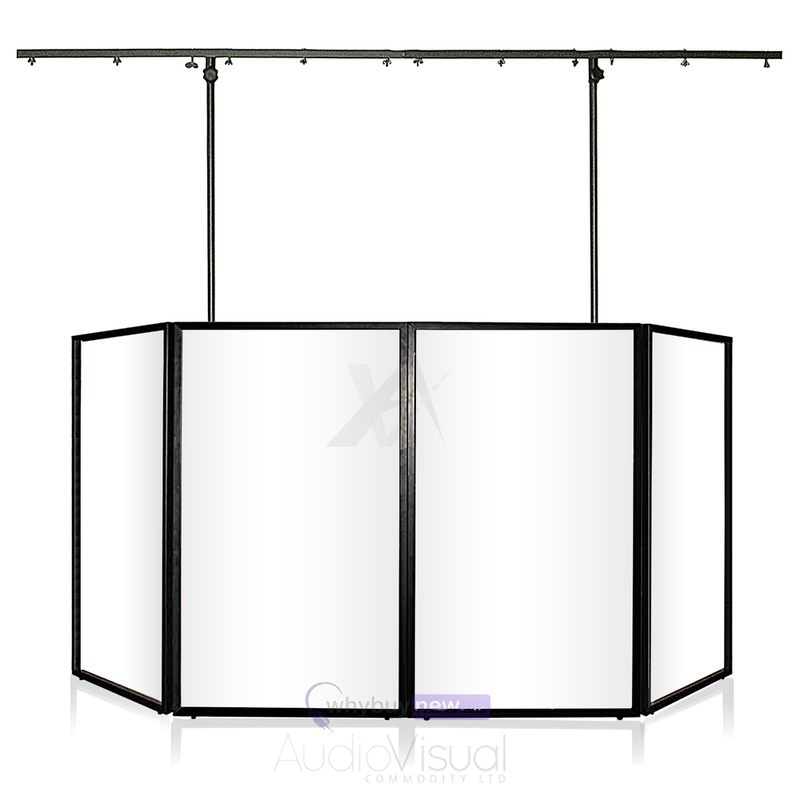 The front folding DJ screen is an innovative way to illuminate your booth while hiding unsightly wires and creating a unique and colourful focal point. The screen consists of four panels each with a lycra screen which can be backlit with any normal DJ lighting fixtures to create a host of exciting, colourful effects. 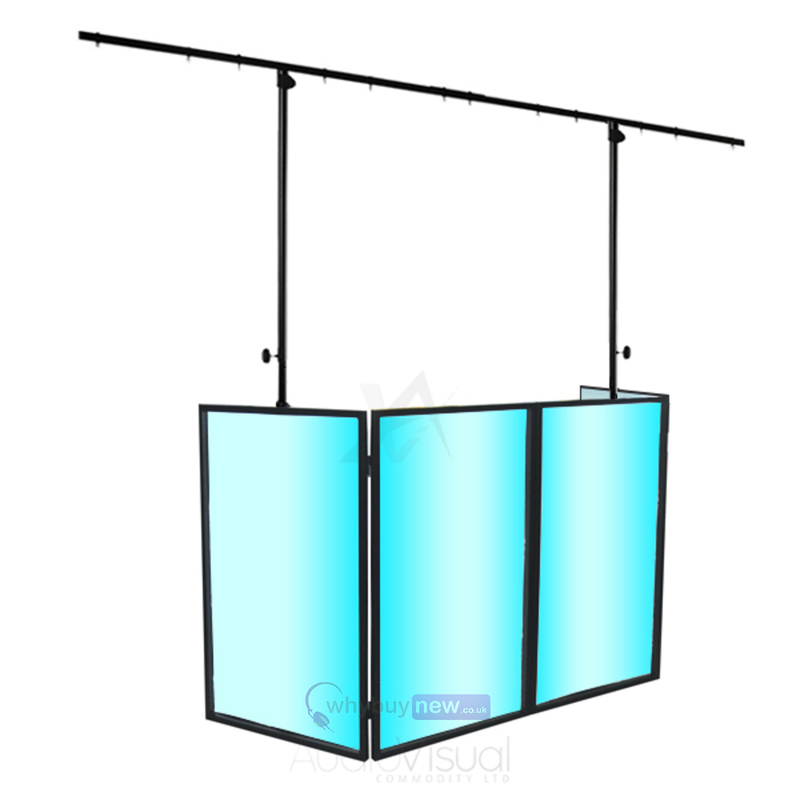 The lycra screens can be removed for washing while the whole screen folds conveniently for transportation. The screen is built from steel which is strong yet lightweight, perfect for handling the rigors of a life "on the road". Gorilla DJ stands are highly-regarded for their strength, reliability and the quality of materials used. 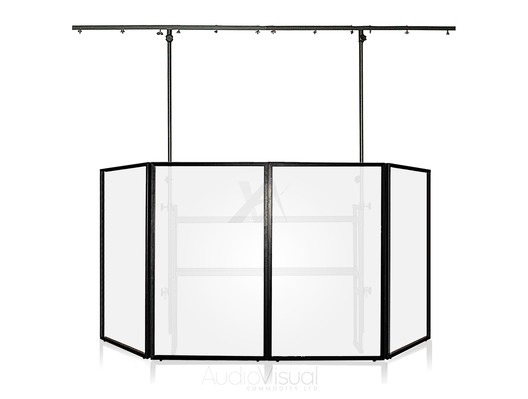 The Gorilla DJB300 DJ Booth combines these factors to create a complete support solution for your mobile disco. 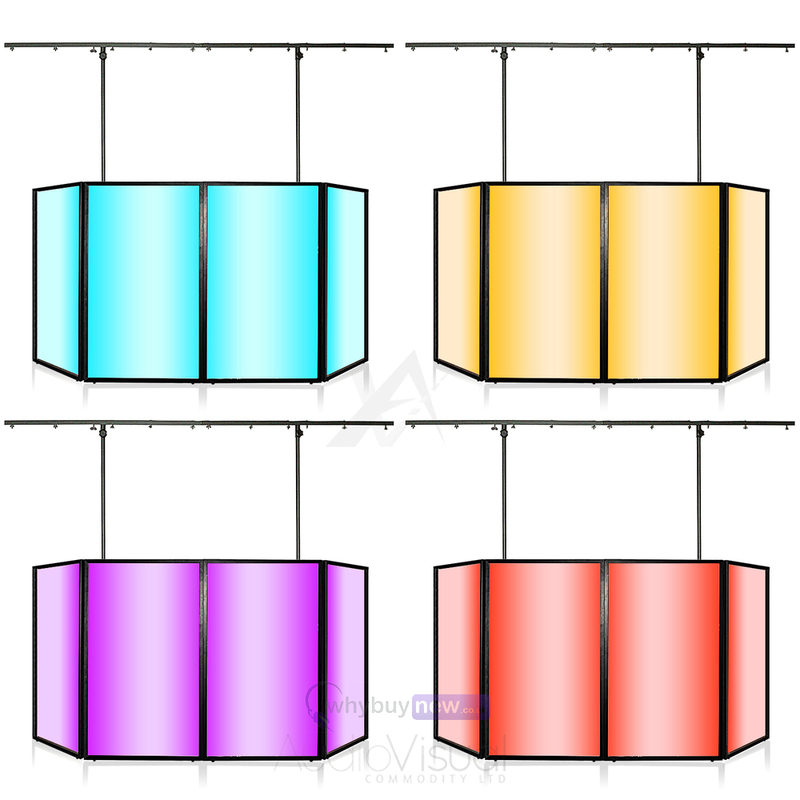 *PLEASE NOTE: No lighting effects are supplied with this booth. The Effect shown on the DJ screen is an example of what a lighting effect behind the the screen will look like.